World Atlas of Tattoo. London: Thames and Hudson and New Haven: Yale University Press, 2015. Editor and primary author with a team of partial contributors. “A Legacy of Diversity and Innovation: American Tattooing from the Revolution through the 1980s/Un héritage fait de diversité et d’innovation: le tatouage aux États-Unis de la guerre d’Indépendance aux années 1980” in Tatouers, Tatoués. Paris: Musée du Quai Branly/Actes Sud, 2014. “Inside the World’s Only Surviving Tattoo Shop For Medieval Pilgrims.” Atlas Obscura, August 18, 2016. 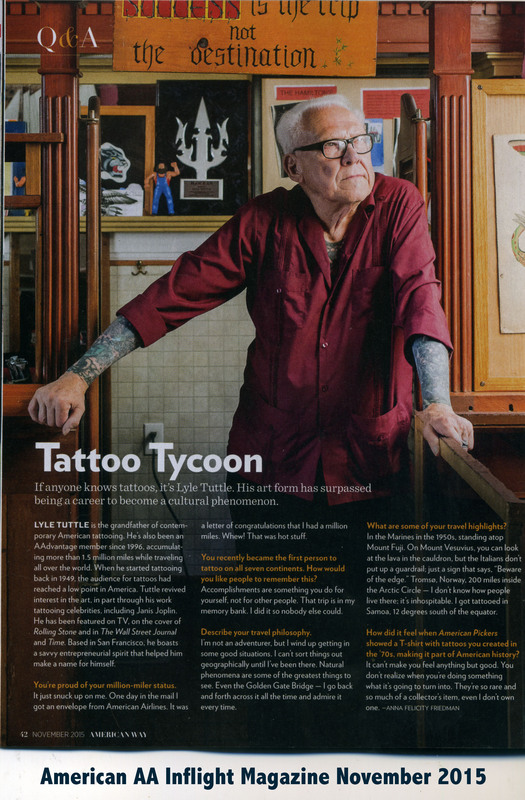 “Tattoo Tycoon.” (Interview with Lyle Tuttle) American Way (American Airlines inflight magazine), November 2015.